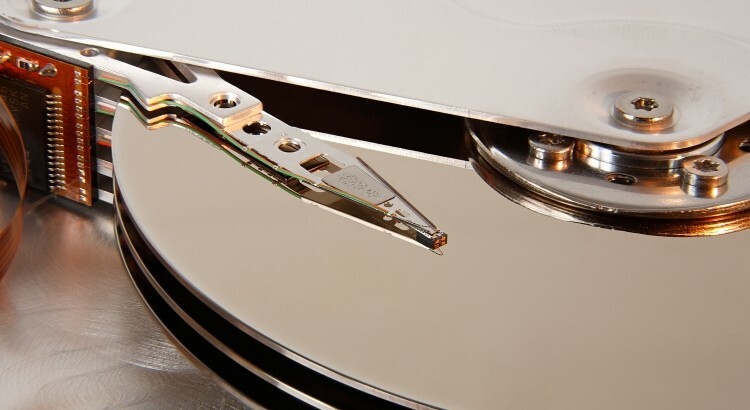 Traditional methods for hard disk data storage are coming very close to reaching physical limits, so manufacturers are looking for alternatives to continue pushing drive capacity upwards. At a Chinese trade show, Western Digital has demostrated its new heat-assisted magnetic recording (HAMR) technology, which has the potential for some serious increases. Although HAMR technology was first developed by rival Seagate, Western Digital believes they can achieve five times the areal density of current drives using their implementation. To give you an idea of what that could bring to the table, the highest density drives currently have an areal density of 750 gigabits per inch; HAMR could increase this to over 4 terabits per inch. HAMR works by briefly heating the hard disk's surface with a laser while the magnetic head is recording data, which causes the data bits to shrink, increasing areal density. Combined with nanotube lubrication that allows the magnetic head to get closer to the surface, HAMR-powered drives could be just as reliable as traditional drives, but with many times the storage capacity. Seagate claims that HAMR could facilitate 60 terabyte 3.5-inch hard drives by 2016, and it's likely Western Digital will be able to achieve similar improvements with their implementation. Heat-assisted magnetic recording is just one of several new developments that promise to push the limits of affordable drive storage. Shingled magnetic recording (SMR) brings moderate improvements to areal density by overlapping hard drive tracks, while bit patterned recording (BPM) could bring even larger increases.